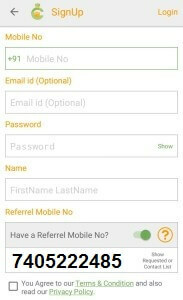 Signup Cubber App and Get Free Rs 10 Recharge. CUBBER is an online recharge application for prepaid mobile data card and utility recharge service. With e-commerce booming, an application has become a necessary part of the business. CUBBER app also gives you the best offer EVERY WEEK. It is quietly compatible to use and get benefits. Follow all the steps carefully to signup cubber app to get free recharge of Rs 10.